Using an elliptical trainer is an excellent way to enjoy a low-impact workout that can effectively target various aspects of fitness. Since the elliptical involves pushing and pulling both the feet and the hands, it can be used to help build muscle in both the lower and upper body. In order to gain the greatest benefits in terms of building muscle, here are a few tips to keep in mind when using an elliptical to build muscle. 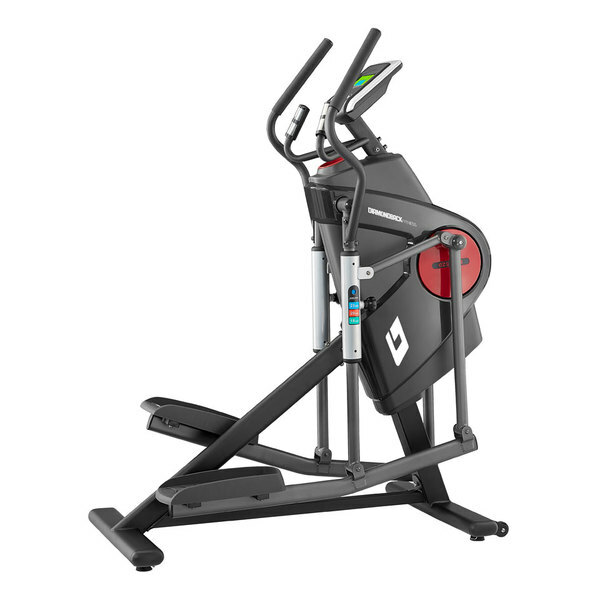 Some elliptical machines isolate the arm and leg movement more than others. In order to ensure your arms receive an adequate workout, choose a machine with handles that allows for the most independent arm rotations. By pulling and pushing the arm poles instead of allowing the foot pedals to power the upper body movement, you will be able to more effectively target your triceps, biceps, back, shoulder and pectoral muscles. If your machine does not have handles, you can target your arms and chest by doing chest presses with a medicine ball, doing curls or completing overhead presses with a light pair of dumbbells while you work out on the elliptical. Interval training that involves varying the direction you pedal will help you to engage different muscle groups. When pedaling forward, you engage your hamstrings and glutes. By pedaling backward, you give your front thighs and quads a workout. Most elliptical trainers come pre-programmed with a variety of different workout options that allow you to focus on different fitness goals. These programs will instruct you to vary your routine in ways such as telling you to pedal forward, pedal backward or to complete your movement with your arms instead of your legs. These programs will also vary your intensity and resistance levels. By simulating climbing hills, for example, you target different muscle groups while also forcing your legs to exercise in a way that is similar to weightlifting. With an elliptical machine, you can do more than just work on your arm and leg muscles. In fact, if you remove your hands from the handles and either place them on your hips or pump your arms, you can also give your core muscles an effective workout. This is because your abdominal muscles and other core muscles must engage in order to help you maintain your balance. Making changes to your body’s position can also help with building muscle and targeting other muscle groups. Pedaling backwards at a half-squat, for example, will help to target your quads and glutes. You can also increase your lower-body workout by extending your legs straight for a longer stride rather than circling them closely beneath you. An elliptical machine is a great tool for burning calories and increasing cardiovascular endurance. When used properly, it can also go a long way toward helping you build muscle in virtually every part of your body. Up Next: How to choose the best home elliptical machine.